China is fast becoming the World's most sought after travel destination due to its striking natural landscapes, rich cultural heritage and endless historical and architectural diversity. Even the most seasoned traveller will be impressed by what China has to offer - however, the mysteries of the Orient present vast cultural and language barriers leaving even the most intrepid of adventurers feeling quite inadequate. Fear not. Dragon Holidays has put together this comprehensive yet user-friendly website that will see you conquering China in no time. On 1 October, 2009, China presented a parade on Beijing's Tiananmen Square to mark 60 years since becoming the People's Republic of China. If you fortuitously (it was given no local pre-publicity) watched this parade on CCTV 9 (an alternative DSTV channel), you would have come away patently aware of the message that China sent to the world on that amazing day. The message could easily have been interpreted by anyone in the west as "Look out world, we're here, we're serious world players now...look out for us...but we're not commanding your respect...we're humbly earning it! It was a pageant of indescribable perfection, executed on a scale never achieved anywhere else in the world at any time in history...and it went on, and on...for nearly three hours. In short, the parade was beyond spectacular, extravagant in the extreme, and just dazzling in its scale, organization, colour and humanity. If you missed it...you really missed something! The incredible Opening Ceremony of the 2008 Olympic Games was "chicken-feed" by comparison. Really! China in the early 21st century is, above all things, a nation on the move as millions of rural people leave their villages and head to the cities, looking for work. Many still travel by rail, but increasingly people are travelling by road. Exact numbers are difficult to gauge, but most experts estimate that 150 million (possibly as many as 200 million) people have left their homes and villages in search of work in the cities around China. It is the largest migration in human history. Pushed by the timeless poverty of the countryside and pulled by the bright lights of the cities, this army of migrants is fuelling the economic boom that is putting cheap toys, clothes, flat-screen TVs and computers on the shelves of the world's stores. In China, the common people, both rural and urban, are known colloquially as the lao bai xing, literally the "old Hundred Names", who in Chinese legend were made up of just one hundred family names. The lives of Old Hundred Names today are being transformed as never before in Chinese history. After 33 years of market reforms since the death of Chairman Mao in 1976, China in the first decade of the 21st century stands on the edge of something very big, something very different from anything that has gone before. Its unique brand of man-eat-man capitalism (still known officially as "socialism with Chinese characteristics") has brought unprecedented change to its society. China has overtaken Britain as the world!|s fourth largest economy, it has accumulated foreign exchange reserves of roughly one trillion US dollars and become the workshop of the world. Its hunger for energy and resources has influenced world markets in oil and commodities. Diplomatically too it is growing in importance, with an engaged foreign policy governed by pragmatism rather than ideology. In short, China matters more than it has ever mattered in modern times. Many take it for granted that China will be the next global superpower. What is China's future...greatness or implosion? Can the country really become the 21st century superpower that many predict? Or could it all collapse, like the Soviet Union, weighed down by the legacies of the past and sunk by the contradictions of the present? And if it does go on to greatness, what kind of country will China be? Can it ever make the transition to a modern, democratic state? Well, this is among the many reasons why China has become such a popular travel destination. People from all over the world are eager to have a closer look at a country that appeared to be going nowhere right up to the beginning of the 1990s. You may not return with all the answers, and there will be much you still have to understand...but what we do guarantee is that your expectations will be exceeded...by far...your perceptions will change 360 degrees...and even the way you see life will have been altered...forever! This tour will also help you to better understand all of what came before!Kand it was a lot...five centuries that we know of. We also visit China because it is a culture so at odds with our own...and because there is a dynastic history of such span and intensity that one has to experience some of it personally in order to make any sense of the world's oldest recorded civilisation. 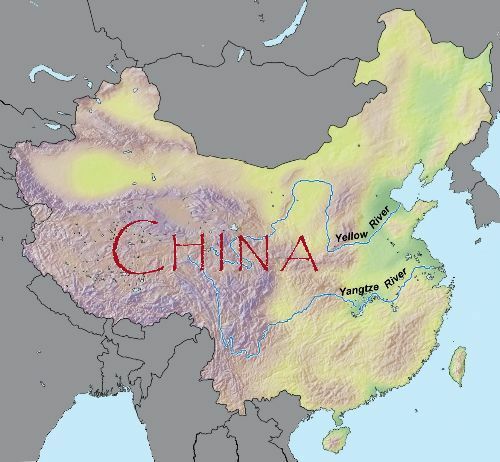 China is 8 times the size of South Africa with 30 times the population!